Bites and attacks from dogs and other animals can cause you or your child to suffer from serious physical and mental injuries. You deserve to be safe around someone else’s pets; when this is not the case, the attorneys at Juan Hernandez Law will get you the compensation you deserve. Our team of experienced personal injury attorneys is here to help you prove that the dog owner is liable for your injuries. We’ll make sure that you never have to fear an attack from that animal again. 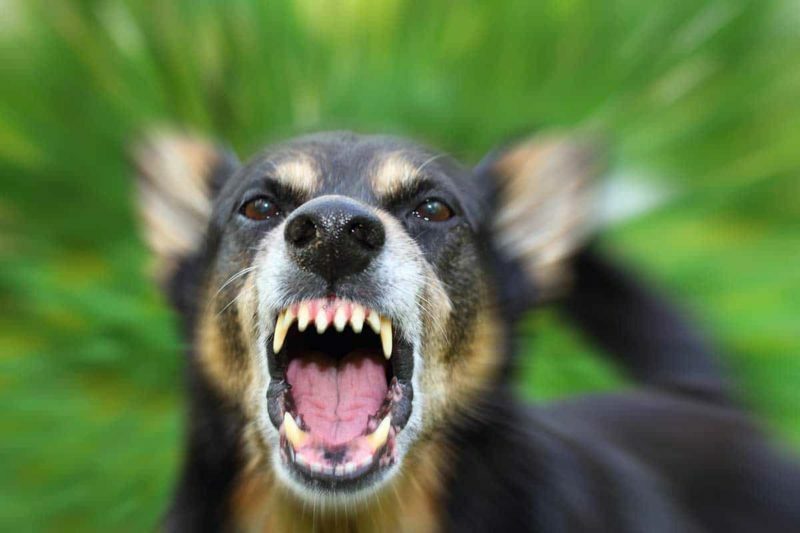 Texas does not have its own statutes relating to dog owners’ liability for a dog attack. Instead, Texas follows the guidelines set forth by the United States in the Restatement of Torts, section 509. This tort law is more commonly known as the “one-bite rule,” and it has been adopted by many states in addition to Texas. that viciousness was the cause of injury to a person or damage to property. The exception to the one-bite rule is negligence. If you can prove that the dog attack occurred because of the dog owner’s negligence, it won’t matter if it’s the first attack or not. For example, if a dog is left to roam free, it wanders into a playground, and it chases down and bites a running child, the dog owner’s negligence is the cause of the attack. At Juan Hernandez Law, our attorneys will prove that the dog has an established history of viciousness or that the dog owner’s negligence caused your injuries. No matter how you experienced the unprovoked attack, we’ll make sure that the dog owner is held liable. Should I Go to the Doctor after Being Bitten? Just as in all injury cases, you should visit the doctor after being injured by a dog or other animal. That way, you can get your injuries treated and documented. Do I Need a Rabies/Tetanus Shot? If you’re bitten by a dog, cat, or other domesticated animal, ask the owner for documentation that their rabies vaccinations are up-to-date. If not – or if you were bitten by a wild animal – the animal will likely be taken and quarantined to watch for signs of rabies. Wild animals may also be euthanized and tested for rabies. If you’re up-to-date on your tetanus shots, you won’t have to worry about tetanus. Even if you aren’t up-to-date, you usually only have to worry about tetanus if you’re bitten by livestock or a wild animal. However, your doctor may recommend a booster shot after any bite if you aren’t up-to-date on your vaccinations. After being bitten by a dog or other animal, you should contact the police and animal control. Both will document the incident for future record. Are Dog Bites Public Record? Dog bites are public record. Just as in most injury cases, the official record of what happened will be available to the public. Each state has their own laws regarding the release of such information; in Texas, it is known as the Texas Public Information Act. In addition, a record of the incident will be filed with animal control. It’s important that you file a report so that the dog’s viciousness is documented for future use. the dog owner maliciously and intentionally provoked the dog to bite you. There are a number of reasons why a dog may bite someone. The dog may be abused, badly trained, territorial, anxious, or scared. Whatever their situation may be, there are certain steps you can take to help prevent them from attacking you. Never approach an unknown dog. Unless you know the dog and know for sure that it is friendly, you should never try to pet it. Avoid unleashed dogs. Give a wide arc around any dogs that are unleashed. Even if you know the dog, it may become agitated or territorial without its owner. Never run from a dog. Whether or not a dog is normally friendly, running may spark its prey drive. This may override its training and cause it to attack you. Look for signs of agitation/aggression. Dogs have certain signs that indicate they are aggressive or agitated. These may include growling, snapping, snarling, showing teeth, or hair standing up on their back. Never assume that the dog is happy because it’s wagging its tail. While often associated with happiness, dogs may wag their tails for a number of reasons. Other dogs can often tell the difference between agitated tail wags and happy tail wags, but it’s not always obvious to humans. You should also teach your children not to approach strange dogs. Most dog attacks happen to children – especially boys. When a dog attacks you, you need an experienced personal injury attorney at your side to help you file the case, deal with dog owner’s insurance company, and get you the compensation you deserve. Even if the dog has no previous reports of viciousness, the attorneys at Juan Hernandez Law can help you determine if you have a case during our free, no obligation consultations. The most qualified attorneys to represent your case are the 2% that have certification from the State Bar of Texas to practice personal injury law; Juan Hernandez is one of these rare attorneys. To meet with our team of personal injury attorneys, contact us today in Dallas, Amarillo, or Abilene.